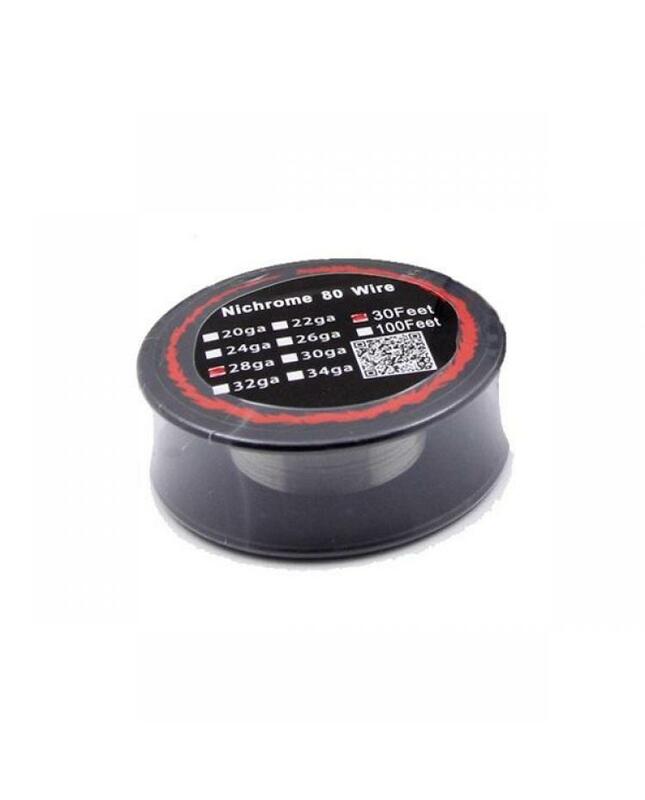 Nichrome 80 vape wire, 20/22/24/26/28/30/32 gauge avaliable, diameter is 0.81mm, 0.64mm, 0.51mm,0.40mm, 0.32mm,0.25mm, and 0.2mm. 30feet per reel can be used for building coils for RTA, RDA, and RDTA. 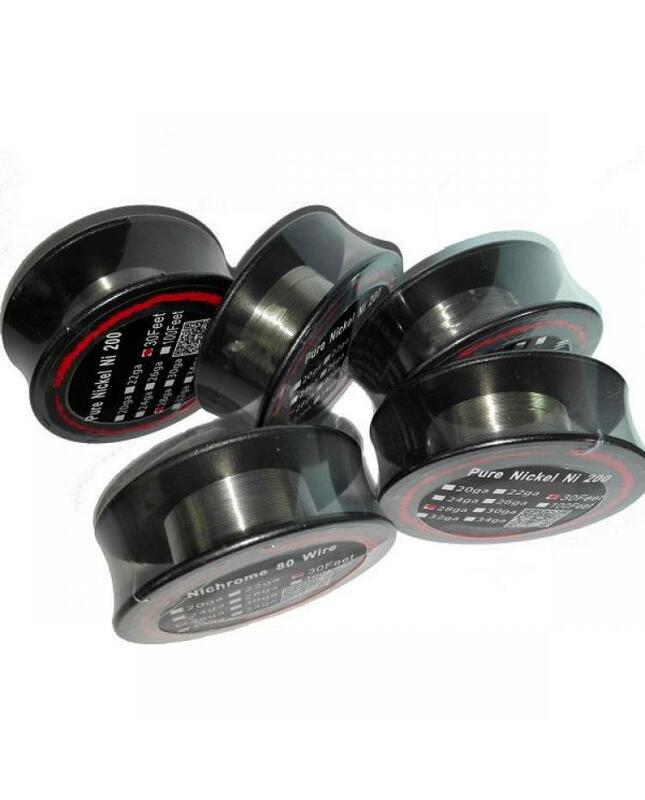 the nichrome 80 vape wire with low resistance per length compared to kanthal, it will heat up faster and preferred an alternative to kanthal wires for many cloud chasers.